Like a bee to the honey pot, The Style Index is always drawn to the textiles of Walter G at various interior design and homewares fairs. There is something deliciously tactile about the fabrics chosen, usually cotton canvases, silk and vintage turban fabrics, that are then paired with an amazing array of antique tin flasks, milk cans, tea urns, lanterns and canisters to make lamps of rare beauty. Founded by Sydney friends, Lauren Bennett and Genevieve Fennel, Walter G is as much about the pair's sense of adventure and bowerbird tendencies as it is about their simple and stylish designs. While many of the vintage pieces and fabrics are sourced on their sub-continent travels, it is the beautiful contemporary textile designs that make their offerings so right-now. 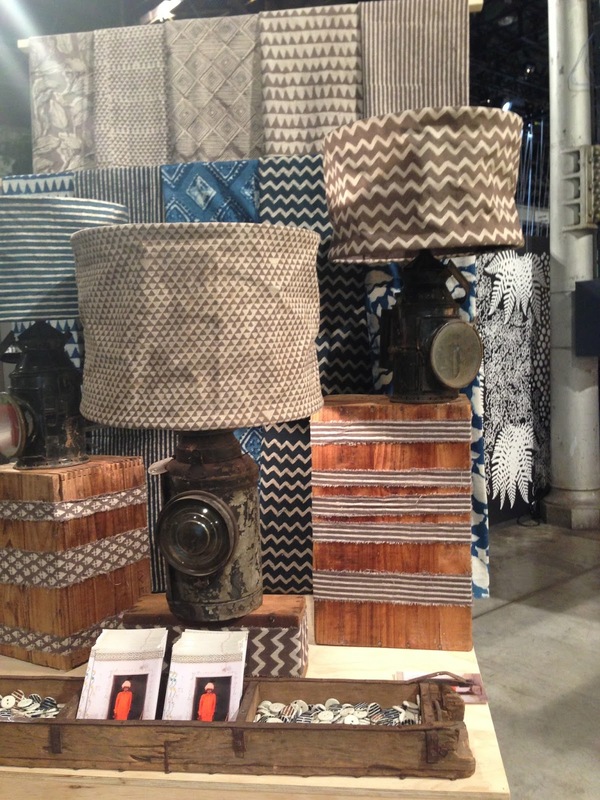 This image taken at the recent Sydney Indesign weekend shows some of the lamps with lengths of Walter G's taupe and indigo textiles hanging behind.